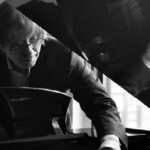 Georg Friedrich Haas – born 1953 in Graz – grew up in Tschagguns (Vorarlberg). In his early student days he took a short detour into natural sciences, before he finally turned to a musical career and started to study at the University of Music and Dramatic Arts in Graz. 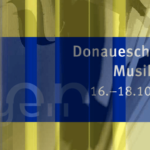 After completing his studies and postgraduate training in Graz and Vienna, he attended the Darmstadt Summer Courses for New Music (with Gérard Grisey, among others) and the Stage d’Informatique Musicale pour Compositeurs at the IRCAM in Paris. At the same time he received lecturing assignments at the University of Graz where he first taught as a lecturer, later as a professor. In 1997 he took a sabbatical to devote himself entirely to his compositional work. After visits to Fischbach/Styria, the southwest coast of Ireland, and Berlin as part of the fellowship of the German Academic Exchange Service, Haas began teaching in Graz again in 2002. Since 2005, he also teaches a composition class at the Academy in Basel, where he also currently lives.